Jövőkép | REGIO Játékkereskedelmi Kft. Who we areWe believe that playing and games have an important role in learning, socializing and developing one’s personality – they have a powerful impact on our lives. We maintain a personal relationship with our customers, international and domestic partners, and we strive to exceed their needs by continuously improving our supplies. 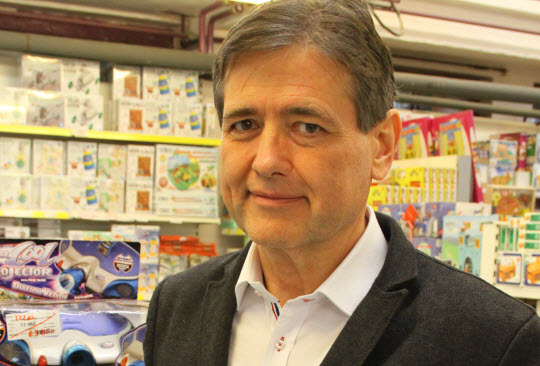 We closely cooperate with manufacturers to make sure that classical toys – such as the slide projector, the „Gazdálkodj okosan!” (Budget smartly) board game or the recently revived scooter – do not vanish from the market, but continue to connect generations by bringing children and adults together. REGIO JÁTÉK is still a family business.The founders, József Gyaraki and his wife are overseeing daily operations, now accompanied by their two adult sons. Our goal is to keep REGIO JÁTÉK a well-known and respected brand that maintains its appeal for every generation by constant development and monitoring of market trends.